We’ve partnered with Patron Tequila to create a custom margarita recipe, and help introduce the Margarita of the Year. One of my favorite flavors has always been passion fruit, or lillikoi as some people know it by. This love started when I was a young child and we lived in Hawaii. There was an old guy that used to bring guavas, starfruit, and passion fruit to the beach where I spent most of my time. I was always like “yeah, no….you can’t take food from strangers.” to the other kids, but as it turns out, I was wrong. He was just a retired dude that was sharing his bounty. Fast forward to current day, and passion fruit is still one of my favorite flavors. The sweetness with a little bit of tart just goes so well with so many things. I thought it would be perfect for this Passion Fruit Ginger Margarita made with Patron tequila. Links may be affiliate links. 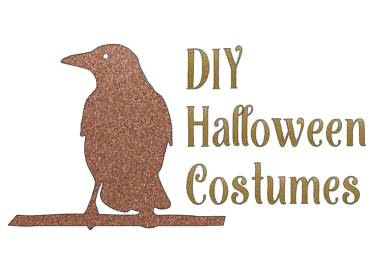 We make a small commission if you purchase through them. 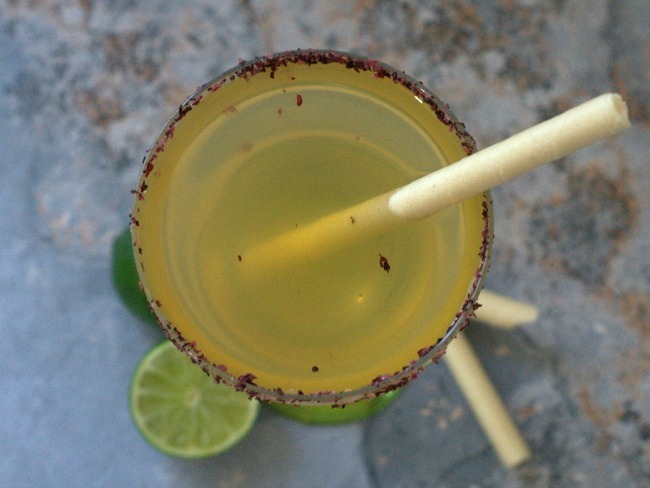 Run a lime wedge around the rim of a margarita glass, and salt the rim with hibiscus flower salt. Set aside. In a cocktail shaker full of ice, combine all liquid ingredients. Shake thoroughly to chill and combine. 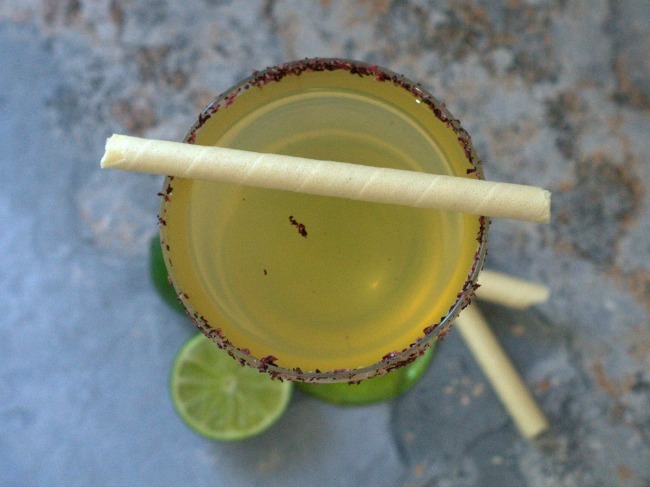 Strain into salted margarita glass, and accent with a lemon rolled cookie. In addition to this lovely Passion Fruit Ginger Margarita, Patron has announced the Margarita of the Year. It’s the Spicy Rosa Picante Margarita! This delicious concoction has a great combination of Patron, lime, rose water, ginger, and a dash of jalapeno. This delightfully modern twist on the margarita was created by Jordan Corney of Bohanan’s in San Antonio, TX. It’s spicy, but with floral notes. Combine all ingredients in a cocktail shaker with ice, and shake well to chill and combine. Strain into a chilled cocktail coupe that has been half rimmed with rose petal sea salt. Top with a dash of rose water. Garnish with a rose petal, if you have them. 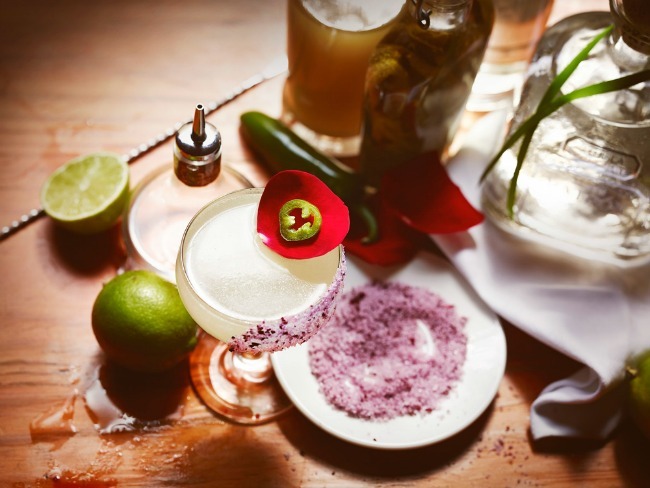 The Passionfruit Ginger Margarita recipe and Rosa Picante Margarita recipe pair beautifully for that sweet-heat combo. Be sure to check out the Margarita of the Year site, too, for more details and information. I love margaritas but haven’t had one in so long. Both of these recipes look so good but I think I would love to try the passion fruit one! That looks amazing! I love margaritas! I’ve never had a passion fruit one before though. I bet it tastes great. 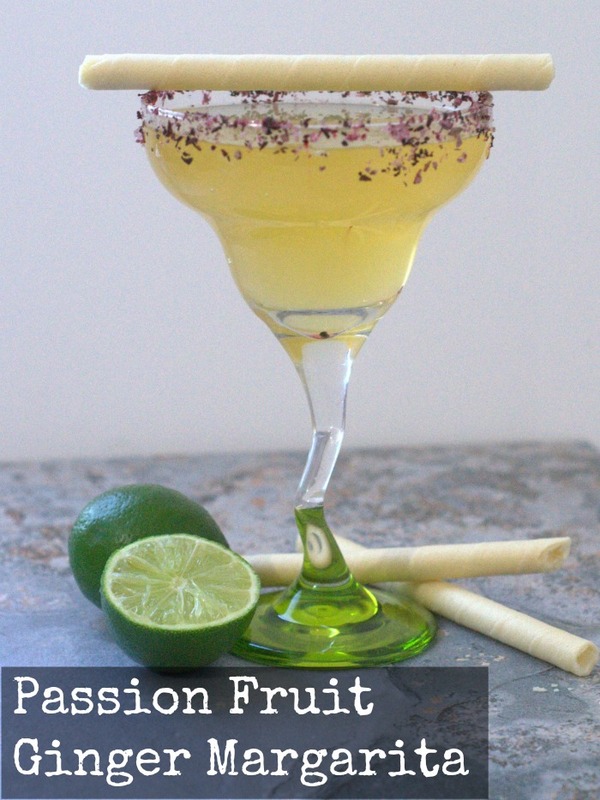 The Passion Fruit Margarita sounds amazing, thanks for the idea – I can’t wait to try it!